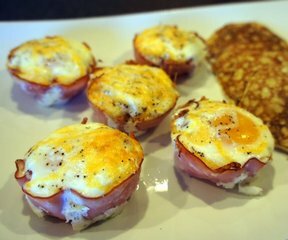 Individual breakfasts that are so simple. Kids will love these. Cook them depending on how soft or hard you like your eggs. Coat 8 muffin cups with nonstick spray. Place 1 slice ham into each cup. 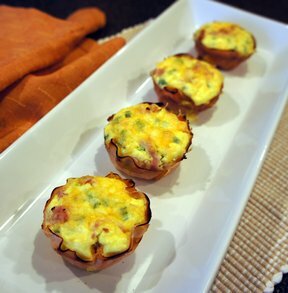 Break 1 egg into each cup and sprinkle lightly with cheese, salt and pepper. Bake for 15 minutes or to desired degree of doneness. 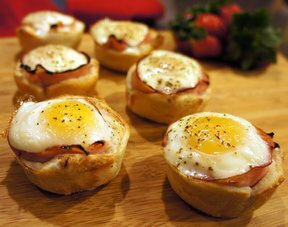 "I love eggs for breakfast and this is so easy to make! There was a fight for the last one on who would get it!"